Head injuries from car accidents are high-dollar claims. Here’s how to strengthen your insurance claim and boost your compensation. Head injuries are among the most serious type of car accident injuries. Drivers and passengers can suffer a head injury in any accident, at any speed. Injuries range from minor cuts and bruises to the face and scalp, to traumatic brain injuries. Traumatic Brain Injury (TBI) is a major cause of death and disability in the United States. Thirty percent of car accident fatalities are due to TBI. Some car accident victims can recover from minor head injuries in a few days. Others won’t be so lucky, and may suffer disabling brain injuries or death. If you or a loved one sustained head injuries in a car accident, you need to know how to how to avoid mistakes with the insurance company and how to maximize your compensation. Even with all the safety technology in modern vehicles, a human head remains vulnerable to trauma in a car accident. The force generated in a collision can drive a person’s head into side windows and the vehicle frame. The force can violently shake the head from side to side and front to back. Flying objects in the car can smash into the head, eyes, and scalp. Drivers and passengers, especially those not wearing seatbelts, may be ejected from the vehicle, landing head-first onto the pavement. Linear skull fractures are the most common in car accidents. The skull fractures, but not enough for it to expose the brain’s soft tissue. Depressed skull fractures occur when the force of impact presses broken sections of skull bone into the brain cavity. Bone shards may penetrate and damage brain tissue. Diastatic skull fractures describe the separation of the bony plates of the skull that fused as we grew from children to adults. Surgery is required to reattach the parts. Basilar skull fractures occur at the base of the skull. Treatment depends on the damage to the underlying structures, like the brain and spinal cord. Blunt force trauma to the head, as often happens in car wrecks, can lead to internal bleeding, with or without a skull fracture. The medical term for bleeding in the brain is Intracranial Hematoma (ICH). “Intra” means inside, and “cranial” means the skull. Epidural hematoma occurs when blood clots form inside the skull, but the clot is on top of the cerebrospinal fluid that surrounds the brain. Subdural hematomas occur when blood clots form inside the skull within the cerebrospinal fluid. At first, the blood doesn’t penetrate the brain’s soft tissue. As the bleeding continues, it takes up more and more space, crowding out and damaging brain tissue. Subdural hematomas can expand quickly, causing great harm to the brain. A fast-growing subdural hematoma is called acute, meaning it’s happening quickly. An acute subdural hematoma is a life-threatening emergency. The retina is a sensitive layer of tissue lining the inside of your eye. The retina sends information through the optic nerve to your brain. In a car accident, trauma to the head or face can “detach” or pull a portion of the retina away from its normal place in your eye. If not treated promptly, a detached retina can lead to permanent vision loss. A detached retina is a medical emergency. If you experience symptoms, get immediate medical help. Be sure to tell the doctor how you hit your head in the collision. 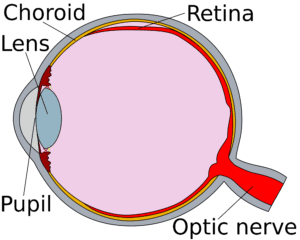 Symptoms of a detached retina include a sudden or gradual increase in the number of “floaters” in your field of vision: flashes of light in your eye, or something like a curtain or veil in your vision. Vehicle accidents are violent events. Even low-speed collisions transfer the force of impact to drivers and passengers. 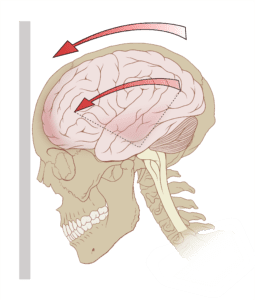 Head injuries are caused by abrupt jolts as well as blunt force. A closed head injury is one that doesn’t penetrate or open the skull. Instead, the injuries are internal. The most common closed head injury is a brain concussion. Brain concussions are more than a mild inconvenience. Thanks to advances in medical science, we now know that even “mild” concussions are not to be taken lightly. The skull encases and protects the brain. Inside the skull is cerebrospinal fluid, which acts as a shock absorber to protect the brain upon impact. When the impact is severe enough, the cerebrospinal fluid moves and the brain hits the skull, causing a concussion. Concussions are a type of traumatic brain injury that may be mild, moderate, or severe. Most people fully recover from their first mild concussion. Unfortunately, some concussions can lead to life-altering complications. A concussion may cause a wide range of short- or long-term complications, affecting thinking, sensation, language or emotions. These changes may lead to problems with memory, communication, personality changes, as well as depression and early onset dementia. Prompt medical attention after a car accident is necessary for your health and will also help your insurance claim. Always get a thorough medical evaluation after an automobile accident. If you aren’t taken directly to the hospital from the accident scene, you still need to be evaluated the day of the crash. If your primary physician isn’t available, go to the nearest emergency department or urgent care center. Tell them you’ve been in a car accident and describe how you hit your head or were knocked around in the collision. Refusing treatment at the scene or waiting for a few days to see how you feel is a huge mistake. The insurance company will jump at the chance to deny your claim by arguing that your injuries didn’t happen in the accident. Don’t take no for an answer. If the insurance company has denied your head injury claim, contact an experienced personal injury attorney to discuss your case. Some brain injury symptoms may appear right after the car accident, while others may not appear until days or weeks after the crash. You could have a life-threatening brain injury and not realize the danger. Even a mild concussion will affect your brain cells, for at least a while. Fractures, swelling, and bleeding in the brain may be causing significant damage in the days and weeks following the crash. Stay alert to the signs and symptoms of traumatic brain injuries (TBI). Call your doctor or seek emergency care as appropriate. When you’ve sustained head injuries from a car accident caused by someone else, you have a right to expect full compensation from the at-fault driver. Unless you live in a no-fault insurance state, your pursuit of fair compensation begins with the at-fault driver’s insurance company. First, you’ll need to let the insurance company and the other driver know you intend to file an injury claim. We’ve made it easy to get started with sample Notification Letters for Injury Claims. The insurance company will acknowledge your claim by providing a claim number. You’ll reference that claim number for any communication going forward. The claim will be assigned to one of the company’s claims adjusters. All personal injury claims require evidence of loss. To recover compensation from an at-fault driver’s insurance company, you must show that the driver’s negligence was the direct and proximate (legally acceptable) cause of the accident and your subsequent head injury. All drivers have a legal duty of care (obligation) to drive responsibly. This includes looking out for other drivers, obeying traffic laws, and generally driving safely. For example, a driver who speeds, runs a red light, or texts while driving is negligent. When negligence leads to a car accident, and someone is hurt, the negligent driver is responsible for compensating the injured victim. Filing a personal injury claim isn’t enough. It may seem perfectly obvious to you that the other driver caused the accident, but the insurance company won’t take your word for it. You have to prove your claim. For proof, you need evidence. 911 Call: Always call 911 when you’re in a car accident to notify police and ask for help. Tell the dispatcher you are injured and where to find you. The dispatcher will want to know if others are hurt or entrapped. Also tell the dispatcher if there are overturned cars, fire, downed power lines, or any other dangers at the scene. Accident victims with head injuries should try to stay quiet until help arrives. Gathering evidence is important, but not worth aggravating your injuries. Unless you’re saving a life, an activity that worsens your injuries can hurt your insurance claim. When paramedics arrive, tell them all your symptoms and let them care for you. Shock and distress can mask head injury symptoms. If the paramedics want to transport you to the hospital, don’t argue. They know brain injuries are dangerous. If there is someone who can help gather evidence, they should try to take pictures and talk to potential witnesses. Photographs: Use a smartphone camera or other device to take as many photographs and videos of the accident scene as possible. Take pictures of the cars, skid marks, damaged road signs, and foliage. Take pictures of any open alcohol containers or drug paraphernalia, and tell the investigating officer if it looks like the other driver was under the influence of drugs or alcohol. Witness statements: No one is obligated to speak with you, but you can try to talk to anyone who saw the accident happen. Witness statements can be powerful evidence of fault for the crash. For example, did the witness see the driver on a cell phone? Running a red light? Perhaps the witness heard the other driver make admissions of fault, like, “I didn’t see the car coming,” or “My brakes aren’t very good,” or other statements that tend to support negligence. Police report: If you’re unable to gather evidence right after the crash, don’t worry. Police reports are arguably the best evidence when trying to prove the other driver’s negligence. Insurance companies trust the investigating officer to be honest and impartial. The police crash report will contain diagrams of the scene, names and contact information for the drivers, passenger names, citations issued, and the officer’s opinion of fault. Medical Records: Medical records are crucial in a head injury claim. The doctor’s notes must link your head injury directly to the accident. Request copies of your medical records and bills from the ambulance, hospital, and any specialists or therapists you saw during your injury treatment and rehab. You’ll also need receipts for any out-of-pocket expenses like medications and assistive devices. Track your mileage and parking fees for trips to the doctor or therapy. Lost Wages: Be sure to get a statement from your employer detailing your lost wages, as well as used vacation or sick time. Notes: Write down what you remember of the accident and the aftermath. Keep detailed notes about the day-to-day struggles with your head injury, including treatments, limitations, sleep patterns, and emotional state. Your daily journal will support your demand for pain and suffering compensation. If you and your doctor are certain you only suffered a mild brain concussion without lingering effects, you can probably negotiate a reasonable settlement without an attorney. Your injury compensation should include the total of all your medical bills, out-of-pocket expenses, and lost wages. If your claim is with the other driver’s insurance company, add one or two times that amount for pain and suffering. Cover all the bases and look like a pro with our sample Personal Injury Demand Letter. If you or your loved one has suffered a severe traumatic brain injury, or there’s a possibility of delayed symptoms, you’ll need an attorney to get anywhere near a fair amount of compensation. Severe head injuries are high-dollar claims. Insurance companies know the emotional and financial impact of traumatic brain injuries. Don’t be fooled by a sympathetic-acting claims adjuster. Insurance companies are notorious for offering smaller settlements to claimants who aren’t represented by an attorney. They know you probably won’t have the energy or legal savvy to fight back. There’s too much at stake to leave your family’s financial future in the hands of the insurance adjuster. There’s no obligation, and it costs nothing to find out what a skilled personal injury attorney can do for you. How much should I ask for injuries from rear end collision? Fair Settlement for Minor Head Injury in Rear End Collision?